FORT WORTH, Texas - A North Texas teenager accused of sexually assaulting and suffocating a 6-year-old girl whose naked body was found wrapped in a tarp last summer was sentenced Thursday to life in prison after pleading guilty. Tarrant County prosecutors said Tyler Holder, 18, of Saginaw, pleaded guilty to three separate charges: murder in the death of his neighbor, Alanna Gallagher; arson for setting the girl's home on fire almost three weeks after her body was found; and attempted capital murder for shooting a police officer as he was being arrested in the girl's death. "Today a dangerous killer was brought to justice," Deputy Chief District Attorney Bob Gill said in a news release. Prosecutors, who said DNA linked Holder to the crime, said that in exchange for the guilty pleas, they agreed to a life sentence on the murder charge and 20 years on the arson charge, to be served concurrently. They also agreed to a 40-year prison term for the attempted capital murder charge, which will be served consecutively. Holder must serve at least 50 years before parole can be considered. 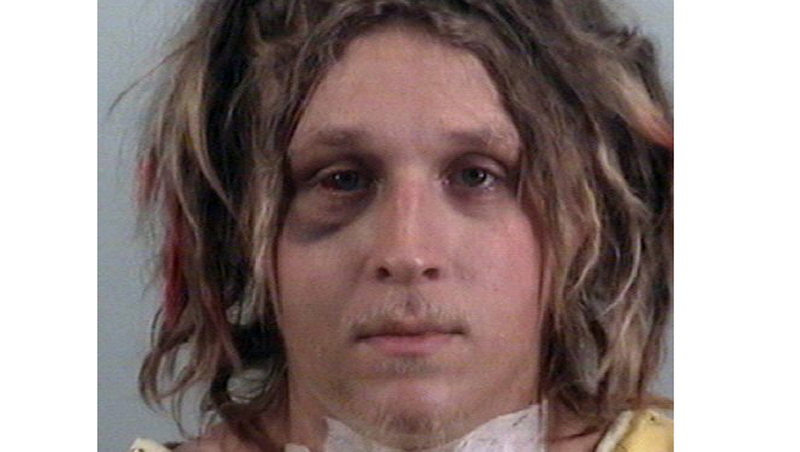 Gallagher's body was found wrapped in a tarp on July 1, 2013, on a residential street in Saginaw, north of Fort Worth. Her head was covered with plastic bags and her wrists and ankles were bound with duct tape. On July 19, 2013, her family's car and a portion of their home were set on fire. When officers went to arrest Holder at his home on July 23, 2013, he pulled out a gun and fired. Arlington police Detective Charles Lodatto, who was on the task force investigating the slaying, was struck. Holder was also shot by his own weapon. Lodatto survived and is back at work. The girl's mother, Laura Gallagher, read a statement in court, saying, "Our house is emptier, and quieter and sadder. We carry around a heavy hard stone of pain where our hearts used to be. And it's your fault." She told him that it was good he was going to prison so that he won't be able to hurt other children. "But it does not repay for what you have done. It does not bring her back to us," she said. Prosecutors said that although Holder was initially charged with capital murder, they decided to proceed on the lesser charge of murder following a decision by the U.S. Supreme Court in late 2012 declaring mandatory life sentences unconstitutional for defendants under the age of 18. In Texas, defendants convicted of capital murder who are 18 and older get an automatic life sentence with no possibility of parole. Prosecutors said that since Holder committed the offense at the age of 17, prosecutors were left without a sentencing option so decided to proceed on the murder charge. A statement from Holder's attorneys, Mark G. Daniel and Tim Moore, stated: "This case has been a tragedy for everyone involved. This resolution is in the best interests of all concerned."